By the time she tossed her purse and keys onto the table, Luke stood beside her. “Hi, Baby.” He inhaled the flowered scent of her hair. “For the life of me I can’t figure why, but for you I’ll keep playing.” Luke let his hands slide to her rounded bottom before letting go and walking from the den into the kitchen, arm-in-arm. Back in his chair, he reached for the Martin, his eyes never leaving Darlina, as she opened the refrigerator and turned on the stove. He thought about how she’d believed in him when he could find no reason left to believe in himself. For the millionth time, he wished they’d met sooner. Maybe then he could have avoided wasting fifteen long years in Leavenworth prison. 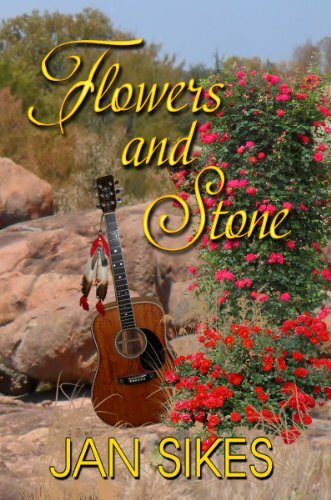 She’d been a breath of fresh air when their paths crossed in Abiline, Texas in 1970. Barely nineteen, naive and trusting, she was entirely different from the women who hung around the bars and honkytonks where he played. But, it was too little, too late. The die had been cast. He shook his head to clear the memories. That was then and this is now. Thirty years had changed him from the arrogant, rebellious King of the Honkeytonks to a man with purpose. He’d happily hung up his neon dreams to be a worthy husband to Darlina and father to two little blond-haired blue-eyed girls who were now successful and strong young women. Being given a new lease on life, on the music he loved and on the woman he adored far exceeded his wildest dreams. He damned well intended to take full advantage of it for every day for the rest of his time on earth. When he spotted Darlina at the entrance of the bus station, he swallowed hard. He cleared his throat. “It’s damned time too. Let’s get out of here. All of these people make me a little more than nervous.” Luke picked up his small case. “Sorry, the air conditioner in the car doesn’t work. It’s damned hot,” she chattered nervously. Luke nestled his free hand in hers and let her guide him to the maroon Chevy.